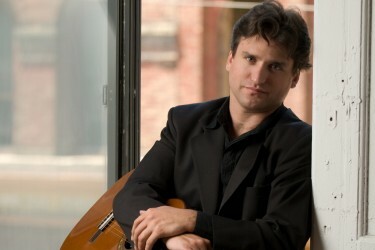 Classical guitarist Rene Izquierdo has dazzled audiences the world over with stunning technique, expression, and musicianship. A native of Cuba, Mr. Izquierdo has won top prizes in many international competitions, including the JoAnn Falletta International Guitar Competition, the Schadt International String Competition, and the Extremadura International Guitar Competition. In addition to his performance exploits, Mr. Izquierdo serves as Professor of Guitar at University of Wisconsin - Milwaukee. On April 26th Rene will give a brief performance, followed by a masterclass with Stonehill College Guitar Students.